This action announces FAA's decisions on a number of issues regarding the FAA's Age 60 Rule. The issues include: Responding to the comments requested in 1993 regarding various aspects of the Age 60 Rule, including the Age 60 Project, Consolidated Database Experiments, Final Report". Issues raised by pilots seeking exemptions from the Age 60 Rule and issues raised by a petition for rulemaking by the Professional Pilots Federation (PPF), requesting the FAA to remove the Age 60 Rule. After review of all comments, studies, and other pertinent information, the FAA has determined not to initiate rulemaking to change the Age 60 Rule at this time. The FAA also has decided not to grant any of the pending petitions for exemption or rulemaking. Section 121.383(c) of the Federal Aviation Regulations (FAR) (14 CFR § 121.383(c)) prohibits any air carrier from using the services of any person as a pilot, and prohibits any person from serving as a pilot, on an airplane engaged in operations under part 121 if that person has reached his or her 60th birthday. The FAA adopted the Age 60 Rule", as it has come to be known, in 1959 (24 FR 9767, December 5, 1959). In late 1990, the FAA initiated a study aimed at consolidating available accident data and correlating it with the amount of flying by pilots as a function of their age. This resulted in a document entitled Age 60 Project, Consolidated Database Experiments, Final Report", dated March 1993 (the Hilton Study"). The FAA held a public meeting and requested comments regarding various issues related to the Age 60 Rule, including the Hilton Study. The FAA has reviewed the written comments received in the docket (Docket No. 27264) and to the comments presented at the public meeting. The FAA is also responding to a number of pending petitions from pilots seeking an exemption from the Age 60 Rule. Finally, the FAA is responding to a petition for rulemaking submitted by the Professional Pilots Federation (PPF). This notice describes the history and basis for the rule, the major events during the history of the rule, the FAA's response to the issues raised above, and the FAA's rationale for maintaining the Age 60 Rule. I(a). Basis for the 1959 rule. The FAA promulgated the Age 60 Rule in 1959 because of concerns that a hazard to safety was presented by utilization of aging pilots in air carrier operations. As noted in that rulemaking, the agency found that there is a progressive deterioration of certain important physiological and psychological functions with age, that significant medical defects attributable to this degenerative process occur at an increasing rate as age increases, and that sudden incapacity due to such medical defects becomes more frequent in any group reaching age 60." 24 FR 9767. It also found that such incapacity, due primarily to heart attacks and strokes, cannot be predicted accurately as to any specific individual on the basis of presently available scientific tests and criteria." 24 FR 9767. The FAA noted [o]ther factors, even less susceptible to precise measurement as to their effect but which must be considered in connection with safety in flight, result simply from aging alone and are, with some variations, applicable to all individuals. These relate to loss of ability to perform highly skilled tasks rapidly, to resist fatigue, to maintain physical stamina, to perform effectively in a complex and stressful environment, to apply experience, judgment and reasoning rapidly in new, changing and emergency situations, and to learn new techniques, skills and procedures." 24 FR 9767. While the FAA recognized that such losses generally start well before age 60, the agency determined that beyond age 59 the risks associated with these losses become unacceptable for pilots in part 121 operations. The agency noted that, due to seniority, older pilots tend to fly the largest, highest-performance aircraft, carrying the greatest number of passengers over the longest non-stop distances," in the highest density traffic. 24 FR 9767. The FAA concluded that, because of the high risks involved, persons should be precluded from piloting aircraft in part 121 operations after reaching age 60. While the Age 60 Rule prohibits pilots from operating aircraft under part 121 after reaching their 60th birthdays, it does not impose mandatory retirement for affected pilots. A pilot may work as a flight engineer or flight instructor in operations conducted under part 121 or may work as a pilot in operations outside of part 121. The pilot also may function as an instructor or evaluator in simulators, an area that has expanded over the years. In the early 1980's, the FAA explored possible changes to the Age 60 Rule, stemming from direction from Congress in 1979 that the National Institutes of Health (NIH) study the desirability of mandatory age retirement for certain pilots. (P.L. 96-171.) The NIH assigned the National Institute on Aging (NIA) the primary responsibility for implementing the legislation. In the report from this study, "Report of the National Institute on Aging Panel on the Experienced Pilot Study" (August 1981) (NIH report), NIA recommended that the age 60 limit be retained. Among other things, the panel concluded that, while no medical significance could be attached to age 60 as a mandatory retirement age, age-related health changes endanger aviation safety and no medical or performance appraisal system could be identified that would single out pilots who would pose a hazard to safety. 1. 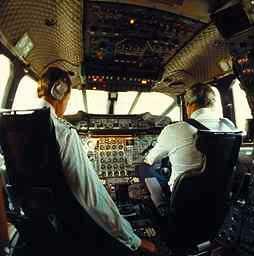 The age 60 limit should be retained for pilots in command and first officers. 2. The FAA or some other appropriate Federal agency should be requested to engage in a systematic program to collect the medical and performance data necessary to consider relaxing the age 60 rule. 3. In view of the growing importance of commuter air carriers, the age 60 limit should be extended to cover all pilots engaged in carrying passengers for hire, specifically including operations under part 135 to provide a level of safety equivalent to that provided in part 121 operations. As part of its study, NIA looked at information on functional decline with age and the increased frequency of a number of medical disorders (including cardiovascular disease, neurological and mental disorders, and changes in perceptual, psychomotor and intellectual functions) associated with aging. In addition, NIA looked at death and disability rates in air carrier pilots and flight engineers, death rates in the general population, and accident rates for pilots. In response to the NIH recommendations, in 1982 the FAA published an Advance Notice of Proposed Rulemaking (ANPRM) on the Age 60 Rule (47 FR 29782, July 8, 1982). The FAA was considering identifying a select group of pilots who would continue flying in part 121 operations in order to allow the FAA to collect data on selected pilots, age 60 and over, flying in actual operations under part 121. The FAA was also considering establishing age limits for flight engineers serving on airplanes operated under part 121. The FAA withdrew the ANPRM in 1984 (49 FR 14692, April 12, 1984). The FAA found that valid tests did not exist for selecting a group of pilots age 60 and over who could act as the test group for collecting data. The FAA was concerned that without valid selection tests these pilots would create an unacceptable safety risk to part 121 operations. The FAA also stated that it was not appropriate to establish an age limit for flight engineers at that time. I(c). 1993 Request for comments on Age 60 Rule and Hilton Study. In late 1990 the FAA contracted for the Hilton Study, a 2-year study to consolidate accident data and correlate it with flying experience and age of pilots. This study analyzed accident data between 1976 and 1988. Although the focus of the study was on part 121 pilots, the study analyzed the accident rates for pilots in part 91, 121, and 135 operations holding Class I, Class II, and Class III medical certificates. The authors of the study found no hint of an increase in accident rate for pilots of scheduled air carriers as they neared their 60th birthday" but noted that there were no data available on scheduled air carrier pilots beyond age 60. Observing a hint, and a hint only," of an increase in accident rates for Class III pilots older than 63 years of age, they concluded that one could cautiously increase the retirement age to age 63." In addition, on April 20, 1993, the FAA published a notice of public meeting and request for comments regarding various aspects of the Hilton Study. (58 FR 21336; April 20, 1993.) The public meeting was held on September 29 and 30, 1993, and the comment period closed on October 15, 1993. In response to the FAA's notice of public meeting and request for comments, 46 members of the public made presentations at the public meeting, and the FAA received approximately 1,200 written comments on the Hilton Study and the Age 60 Rule in general before the close of the comment period. The FAA addressed the Age 60 Rule in a Notice of Proposed Rulemaking (Notice 95-5, 60 FR 16230, March 29, 1995) that would require certain commuter operators that now conduct operations under part 135 to conduct those operations under part 121 (the Commuter Rule"). In that notice, the FAA proposed to apply all part 121 rules, including the Age 60 Rule, to those pilots currently employed in certain part 135 scheduled operations who would be affected by the Commuter Rule. In response to Notice 95-5 the FAA received many comments dealing with the question, not raised by Notice 95-5, of whether there should be an age limitation for part 121 pilots and what that age should be. To that extent those comments have been considered in this Disposition. In addition to the comments at the 1993 public meeting and received during the comment period, the FAA received over 2,000 comments after the comment period closed. The issues raised in the comments by both sets of commenters are similar and will be discussed together. The majority of the commenters at the public meeting and those submitting written comments before the close of the comment period are in favor of raising the age limit, while the majority of commenters submitting written comments after the close of the comment period are against raising the age limit. Commenters in favor of raising the age limit offer several different alternatives, ranging from age 62 to no age limit. Some commenters opposed to a rule change state that the age limit should be decreased to age 55. In addition to the above comments, over 2,000 comments on the age 60 issue (including about 1,000 postcards from members of an airline pilot organization) were received in the docket established for the Commuter Rule. The overwhelming majority of these comments support maintaining the Age 60 Rule and do not express opinions that are different from other comments received in response to the public meeting and request for comments in Docket 27264. The issues raised at the public meeting, the written comments, and the Commuter Rule are discussed below. The PPF, an organization whose membership is composed of pilots who oppose the Age 60 Rule, filed a petition for rulemaking in July 1993 (Docket 27375; 58 FR 46585, September 2, 1993) that requests the removal of § 121.383(c). PPF believes that Federal law and policy, operational and regulatory developments since promulgation of the rule, and the results of the Hilton Study warrant the removal. In its petition, the PPF states that the Age 60 Rule has no basis in fact; refusal to repeal the rule would constitute arbitrary and capricious action by the FAA, contrary to the provisions of the Administrative Procedure Act; refusal to repeal the rule without evidence of a need to retain it in the interest of public safety is inconsistent with Federal policy against age discrimination; and repeal of the rule would have a positive economic impact on the U.S. air carrier industry. The major issues brought up in the PPF's petition for rulemaking (such as age discrimination, the Hilton Study, economic impacts of the Age 60 Rule, etc.) are discussed below in connection with the disposition of comments in Docket No. 27264. Because the FAA has determined that there is insufficient justification to change the Age 60 Rule at this time and that the rule is consistent with Federal law, PPF's petition for rulemaking will be denied in a separate document. Over the years the FAA has received numerous petitions for exemption from the Age 60 Rule. The FAA consistently has denied these petitions. Some petitioners have sought review in the United States Courts of Appeals, and the Courts have upheld the denials. However, in 1992 when the Hilton Study was underway, the FAA delayed action on the pending petitions for exemption and those newly received. Most of the issues raised by the petitions were so intertwined with the underlying Age 60 Rule issues, the FAA chose to defer action pending deliberation of the broader issues involving the Age 60 Rule itself. There are currently over 100 petitions for exemption pending. Summaries of the petitions were published in the Federal Register, and comments were received for some of the petitions. These comments expressed opinions and did not provide the FAA with new information. The issues raised by commenters are discussed in sections II, III, and V below. Overall, the petitioners provide similar information and arguments that they contend justify exemptions. Part of their assertions involve their personal fitness (see section II(a)) and the ability of the FAA to test them individually with simulators (see section III(a)). They state that they hold or are qualified to hold first-class airman medical certificates (see section III(b)). Some state that they have extensive skill and experience as pilots (see section II(c)). They also note that the FAA gives many exemptions to younger pilots for various medical conditions (see section III(b)). The petitioners also contend that the Age 60 Rule is discriminatory (see section V(b)). In addition, the petitioners state that the Age 60 Rule is an arbitrary age and that the age of 60 has not scientifically been shown to be an accurate predictor of health or ability (see section II(a)). They state that studies used by the FAA in the past to justify the rule are flawed, including the NIH Study and the reports prepared by Richard Golaszewski (Acumenics Research and Technology, Incorporated, The Influence of Total Flight Time, Recent Flight Time and Age on Pilot Accident Rates, Final Report (1983) (First Golaszewski Report); General Aviation Safety Studies: Preliminary Analysis of Pilot Proficiency (1991) and his subsequent work, Additional Analysis of General Aviation Pilot Proficiency (1993) (Second Golaszewski Report) (section II(b)). They state that pilots at age 60 are in the safest age group and that forcing them to retire results in individuals with less experience serving as pilots, resulting in lower safety (sections II(c) and V(f)). They state that sudden incapacitation is not a cause of accidents in Part 121 operations (section II(a)). They state that the rule was promulgated for economic reasons alone (section V(a)). They state that the rule is contrary to the Age Discrimination in Employment Act (section V(b)). They point out that other countries have higher retirement ages for their pilots (section V(c)). They state that deleting the rule would save the air carriers money (section IV(a)). Contain any information, views, or arguments available to the petitioner to support the action sought, the reasons why the petition would be in the public interest and, . . . the reason why the exemption would not adversely affect safety or the action to be taken by the petitioner to provide a level of safety equal to that provided by the rule from which the exemption is sought. The petitioners have the burden of showing that the exemption is justified. The FAA does not doubt that the petitioners, in general, are well-qualified, experienced, and safe pilots. However, no petitioner has suggested or shown how he or she is unique compared to others who are subject to the rule. To the extent that petitioners' comments involve the justification for the Age 60 Rule itself, these issues are discussed in sections II, III, and V below. As to individual petitioners' fitness to serve as pilots past the age of 60, which petitioners assert can be demonstrated by individualized testing or evaluation, no petitioner has submitted a protocol, nor is the FAA aware of a protocol, that would permit the FAA to adequately assess an aging individual's relative risks of incapacitation, either sudden or subtle. They have not shown how their circumstances are different in a significant way from others subject to the rule. For instance, there is nothing unique in petitioners holding first-class airman medical certificates; all pilots who exercise the privileges of an Air Transport Pilot certificate are required to hold a first-class airman medical certificate. Numerous pilots operating under part 121, who are approaching age 60, have long, distinguished careers. Indeed, the FAA considered these issues in response to the comments in Docket 27264, and they are further responded to below. The FAA has determined that the petitioners have not shown their circumstances to be unique compared with those who comply with the rule, and that the issues they raise are more appropriately considered in connection with whether the FAA should propose to change the general rule. The FAA will in separate documents deny the pending petitions for exemption from the Age 60 Rule. that are substantially similar to those discussed here. In the future, the FAA will deny any petition for exemption from the Age 60 Rule without first publishing it for comment unless it contains a proposed technique, not discussed in this Disposition, to assess an individual pilot's abilities and risks of subtle and sudden incapacitation. Petitions that do not contain new information or a protocol that may allow the FAA to accurately assess the individual will be summarily denied. A copy of this disposition will be attached to the denial to explain the basis for the FAA's denial. Any petition that does contain such a proposal will be processed and evaluated as provided in §§ 11.25 and 11.26. II. Concerns regarding aging pilots. After considering all comments and known studies, FAA concludes that concerns regarding aging pilots and underlying the original rule have not been shown to be invalid or misplaced. II(a). Physical degradation with age. As noted above, the Age 60 Rule was promulgated in 1959 to address the progressive deterioration of physiological and psychological functions with age and an increasing occurrence of significant medical defects and sudden incapacitation associated with this degenerative process. While emphasizing heart attacks and strokes, the agency also noted "other" factors, less susceptible to precise measurement, resulting from aging alone. Major emphasis was placed on the difficulties in attempting to predict incapacity. Several commenters state that the death rate in general and the cardiovascular death rate in particular for men in the relevant age groups declined dramatically between 1960 and 1989. The commenters believe, therefore, that the age limit could be raised. Other commenters, however, state that insurance statistics show a dramatic rise in cardiovascular disease in people over age 50. In the 35 years since the rule was introduced, there has been remarkable progress in medicine, particularly in the ability to evaluate cardiovascular fitness and in the diagnosis and treatment of cardiac and cerebrovascular illness. For example, cardiovascular disease rises with age, steeply, beginning between ages 55 and 65, and, though mortality has dropped since 1960, cardiovascular disease remains the most frequent cause of death in pilots and the general population. With this increased incidence of cardiovascular disease in the older population, the risk for unexpected threatening events is raised. Cardiac events (e.g., heart attacks, sudden death) during flight have continued to occur in low but fairly consistent numbers over the years and have caused general aviation accidents. Other conditions are known to increase in incidence or to become more complicated with aging. Many present greater difficulties of detection and risk assessment than does cardiovascular disease. Among these are cerebrovascular disease; malignancies; endocrine dysfunction; neurological disorders; psychiatric diagnoses including depression; and decline in sensory and motor capabilities. There has been an increasing awareness of the more subtle adverse conditions affecting performance, those related to cognitive functioning. The concepts of "age-related cognitive decline" or "age-associated memory impairment" describe objective impairment of cognitive function (e.g., attention; language; some visuospatial skills; and, particularly, memory), as a result of aging. These concepts are applied to describe a longitudinal decline in performance that is age appropriate, i.e., a normal outcome of aging (Petersen, RC; Normal Aging, Mild Cognitive Impairment, and Early Alzheimer's Disease; The Neurologist; 1:000-000, 1995 [in press]). Since there now is general agreement that a functional decline occurs with normal aging, on-going research seeks tools for its identification and quantification and to determine its significance for individuals. A condition of "mild cognitive impairment" also is recognized and appears to be the herald of degenerative disease or dementia. Again, research looks for diagnostic tools and for predictor variables of the ultimate outcome for the individual. Dementia in the adult population is a major and growing medical and social problem. It occurs at all ages, but its incidence increases with advancing age so that the largest group of demented patients is in the older age groups (Differential Diagnosis of Dementing Diseases; National Institutes of Health Consensus Conference Statement; Volume 6 Number 11; July 6-8, 1987). One in 10 persons over age 65 and nearly half of those over 85 have Alzheimer's disease alone, and increasingly it is found in people in their 40's and 50's. Many of the dementing diseases can be confirmed or denied with certainty only at autopsy. The history includes a decline from the individual's previously attained intellectual level and usually involves defects in memory, other cognitive capacities, and adaptive behavior. Usually, it is marked by significant deterioration of memory and of one or more other intellectual functions such as language, spatial or temporal orientation, judgment, and abstract thought. Onset is usually but not always insidious, and the patient may or may not be aware of the dementia. Deterioration may vary from subtle changes that are overlooked by coworkers, family, and friends, to totally incapacitating. Is there a level of cognitive dysfunction acceptable in a part 121 pilot? On a practical basis, can pilots be screened for mild cognitive deficits or for the "normal" age-related cognitive decline? Can early dementia be identified before the affected pilot becomes a risk? How do we know when the pilot becomes a risk? How specifically are the deficits identified through currently available neuropsychological testing related to performance and to the real requirements of piloting? What is an acceptable level of risk in aviation? When does the incidence of cognitive deficit become unacceptable? Are current proficiency evaluations adequate for determination of a pilot's ability to perform adequately under every reasonably anticipated circumstance regardless of age? At present, adequate answers to these questions have not been provided. In its 1981 report, the Institute of Medicine (IOM) of the National Academy of Science (on which the NIH report is based) noted that in addition to the increased incidence of cardiovascular disease and degradation's in cognitive functions associated with aging, other effects of aging become more prevalent. For example, diabetes, thyroid disease, pulmonary dysfunction, and gastrointestinal malignancy are more common with advancing age. There is other deterioration with age. For instance, research points to a decline with age in the speed and/or quality of many aspects of perceptual and motor functioning. In the general population, the ability to see fine details declines slightly in adulthood until about 60, and more markedly thereafter. With age, there is typically some loss in ability to hear effectively; the higher the frequency beyond about 1,000 hertz, the greater the loss. Clearly, there is progressive anatomic, physiological, and cognitive decline associated with aging, albeit variable in severity and onset among individuals. Physicians, psychologists, physiologists, and scientists of other disciplines have identified many age-associated variables, some easily measurable, some not, that may be important to human function. There may be other variables, not yet identified, that play an equally significant role. We know that, at some age, everyone reaches a level of infirmity or unreliability that is unacceptable in a pilot in air transportation. That age will vary from person to person but cannot yet be predicted in a specific individual. Because it is unacceptable for these pilots to work until failure or until there is obvious impairment, the age of 60 has served well as a regulatory limit since 1959. Many commenters state that the Age 60 Rule is arbitrary and there is no scientific basis for it. Others would choose a different arbitrary age. For instance, the Acting Chief, Adult Psychological Development, Behavioral and Social Research Program, NIA, submitted a comment in 1993 on behalf of the NIA. He states the view that the age limit could be increased to an age closer to the mid-sixties." However, the studies he cites do not point to an age closer to the mid-sixties any more definitively than they point to the age of 60 as an appropriate age limit. While science does not dictate the age of 60, that age is within the age range during which sharp increases in disease mortality and morbidity occur. II(b). Hilton Study and other accident rate studies. Over the years, several reports have examined the rate of accidents as they relate to age in various populations groups, in an effort to better understand how aging may affect safety. As discussed above, the Hilton Study was initiated by the FAA to look at accident rates in pilots. Many commenters state that the report provides justification for a rule change. They point out that the report shows the same accident rate for pilots who are 50 and pilot who are 65. They state that the report finds that accident rates of part 121 pilots decrease with age. Some other commenters, however, state that the report does not provide justification for a rule change. They state that the report is not meaningful since correlating accident rates solely with total flying hours and recent flying hours is not a valid measurement. They also state that it is not meaningful to compare private pilots who fly beyond age 60 with pilots who fly a lot of hours per year in part 121 operations. Dr. Michaels further noted that numerous studies have demonstrated that, among various groups of pilots examined, increasing accident risk is associated with increasing age. He includes papers by Golaszewski (1983); Mortimer (1991); and an analysis by the Office of Technology Assessment (1990) which support this finding. He also invites attention to the citation by the NIA Report of studies by Harper (1964); Lategola, et al (1970); Rohde and Ross (1966); and Booze (1977), all demonstrating increasing risk with increasing age. Dr. Michaels warns that it would be contrary to customary epidemiologic practice to accept unconditionally and definitively findings from a single study that are substantially different from those of previous studies. There is contention regarding the Hilton Study's grouping of pilots for comparison purposes. Richard Golaszewski, the author of two papers on the relationship between pilot age and accident rates, believes that the Hilton Study's conclusions are based on the use of a group of pilots (holders of Class III medical certificates who have more than 500 hours of total flight time and 50 hours of flight time in the last year), inappropriate for inferences about the likely accident rate performance of airline pilots of age 60 and above. He believes this group is least like airline pilots and suggests his own alternative: Professional pilots who did not fly for airlines but who held Class I or II medical certificates. Mr. Golaszewski cites the Second Golaszewski Report for conclusions opposite to the Hilton Study - increases in accident rates with age for professional pilots. The Hilton Study provides a discussion of the First Golaszewski Report, noting those researchers' disagreement with Mr. Golaszewski's methodology and questioning his conclusions. The study also notes methodological concerns regarding the cited works by the Office of Technology Assessment; Mortimer; and Guide and Gibson (1991). Dr. Michaels concludes that (1) the Hilton Study does not present convincing evidence that pilots holding Class I medical certificates past the age of 60 are not at increased risk of accidents, and (2) that the study is a methodologically invalid foundation for rulemaking. He suggests that the analyses performed are not valid because of the small size of the study (very few accidents and a very large number of flight hours), because the study is insensitive to the real concerns (whether aging is associated with increased risk for incapacitation), and because the study does not have well-documented exposure data. The later refers the fact that the Hilton Study calculated accident rates by comparing the total hours flown. However, because most accidents occur during take offs and landings, Dr. Michaels states that hours flown is not a useful measure in calculating the risk of accidents. He believes that the methods used in the Hilton Study would obscure any increased rate of accidents among older pilots in the analyses presented. The First Golaszewski Report concluded that pilots with Class I medical certificates (required for part 121 air carrier pilots in command) and Class II medical certificates (required for other commercial pilots) had a substantially higher accident rate after age 60 than at younger ages. This report was cited by the FAA in denying a petition for exemption from § 121.383(c) submitted by Courtney Y. Bennett et al., and John H., Baker, et al., in 1986. Golaszewski, in the study report itself, noted and resolved to the FAA's satisfaction various sources of potential error and provided rationale for the choices made. Because the study viewed the accident experience of holders of Class III medical certificates (required for non-commercial operations) and of all classes of medical certificate combined rather than that of identified airline pilots, however, and because of disagreement with Golaszewski's selection of numerators and denominators or calculating accident rates, the study findings and methodology were disputed by the petitioners in their later legal action in a U.S. Circuit Court of Appeals. Although the court identified limitations in the study, it upheld the FAA's denial of the petition. Baker v. FAA, 917 F.2d 318 (7th Cir. 1990). The Second Golaszewski Report indicated similar findings. These studies were based on data contained in the National Transportation Safety Board Accident Records Database and the FAA Comprehensive Airman Information System medical database. It should be noted that increasing accident rates with age is not found just in aviation. The National Research Council (NRC) has found increasing car accident rates with increasing driver age. In a report published in 1988, the NRC concluded that older drivers show an involvement in crashes that is more extensive that that of middle-age drivers,..." Transportation in an Aging Society, Transportation Research Board, National Research Council, Washington, D.C. 1988. While safely piloting an airplane is more complex than driving an automobile, both require knowledge, quick reflex actions, good judgment, long-and short-term recall, and many other skills and abilities. Accident rate data represent a quantitative compilation of occurrences where skills and abilities were, for one reason or another, inadequate to cope with a specific situation. Because statistical analysis of over-age-60 pilots in part 121 operations cannot be done (because there are no such pilots) studies must use surrogate data. As has been the case in both the Hilton Study and the Golaszewski reports, such analyses are subject to the criticism that the data used do not reflect reality and, therefore, are flawed. This is even truer with the consideration of accident rate data in car crashes. Unfortunately, accurate counts of all pilots flying in scheduled air carrier operations during a given time period and their age, current and total fight time, and accident experience are not available. Accidents in air carrier operations are, fortunately, rare, and there are other factors (e.g., seniority bidding for routes) that compound the difficulties encountered in developing meaningful statistics regarding the effects of aging. Further, flying by non-part 121 pilots generally involves aircraft, equipment, airports, operational conditions, and operating procedures that are quite different than part 121 operations. Nevertheless, these studies and the efforts of earlier researchers provide a foundation for this current consideration of the issue. The Hilton Study, the First Golaszewski Report, and the Second Golaszewski Report sought to define the effects of aging on older pilots in terms of accident rates. While conclusions may differ as to the effect of aging on pilots, the studies are similarly limited by the rule itself since data cannot be gathered on pilots over age 60 operating in part 121 operations. Factors that may have contributed to the contradictory conclusions are that the accident rates for pilots over age 60 can be determined only in operations outside of part 121 and, therefore, may not be fully useful in drawing conclusions about pilot performance in operations conducted under part 121; and grouping the data differently may lead to different conclusions. While we believe the studies all tend to support a regulatory age limit, they provide no consensus as to precisely what that age limit should be. Undoubtedly, the number of individuals experiencing substantial decline in performance does increase with advancing age...Variability in performance appears to increase, and average performance to decrease, with increasing age...the risk of an accident increases in the later life of a pilot, and...such risk probably accelerates with advancing age...The duties of pilots embrace not only maneuvering skill but also decision-making, crew coordination and resource management. Decline in cognitive and psychomotor performance, as well as in physiological performance, occurs with increasing age and will affect how these duties are executed. The health status of the pilot is apt to affect his/her flying performance. In this regard, subtle decrements in performance due to aging processes or subclinical functional impairment are more likely to pose a problem than is complete failure of performance due to sudden incapacitation. The Hilton Study has not provided answers to these basic concerns. After careful deliberation, the FAA has determined that the Hilton Study does not provide an acceptable basis warranting proposing to change the Age 60 Rule. Supporters of both the Hilton Study and the First and Second Golaszewski Reports have good points. The subgroups studied by each is to some extent limited, in that they necessarily do not mirror the subgroup of part 121 pilots to which the Age 60 Rule applies. The studies do not look at pilot performance, indeed, they count all accidents regardless of cause (not just those caused by pilot error), and do not count incidents of pilot incapacitation that did not result in accidents. Debate surrounding the reliance to be placed on these studies illustrates the difficulty of the task. The changes in accident rates identified in the Hilton Study were small, and its conclusions, therefore, were appropriately cautious. In view of the lack of consensus among the best experts who have looked at this matter, the FAA considers caution appropriate in declining to consider the Hilton Study warranting a change to the Age 60 Rule at this time. Many commenters assert that older pilots have more experience and better performance capability than younger pilots, while other commenters state that older pilots lose performance ability. First, age does not necessarily imply quantity or quality of experience. Experience is valuable, but it does not offset all risks or decrements associated with aging. Also, at some point, the law of diminishing returns comes into play. Once a pilot achieves a certain level of expertise, additional flight time will not significantly improve pilot performance. It must also be pointed out that reference to younger" pilots may be misleading in this context. It is the FAA's experience in the industry that retiring age 60 pilots (who generally are captains) are not replaced by very young and inexperienced pilots. Rather, they are replaced by pilots who have substantial experience as pilots in the first officer position, and often as flight engineers before that. In addition, some commenters state that pilots near age 60 have performed heroically, proving that performance does not degrade with age and experience, while other commenters state that courageous performances by pilots who were near age 60 are not reasons for abandoning the rule. While the FAA recognizes that certain older pilots have performed heroically in specific circumstances, the decision to change the Age 60 Rule cannot be based on isolated commendable acts. The FAA must make a decision on whether change to the rule is called for based on the totality of evidence available on the safety implications of aging. Many commenters state that since the rule was issued medical technology has advanced and life expectancy has increased; hence, they conclude, the rule is obsolete. In addition, they reference that medical technology is now more capable of screening out pilots with medical risks and that fatigue is no longer an issue due to more modern aircraft that reduce workload and stress levels. Many commenters also state that the aging process can vary markedly among individuals and that some individuals are in worse physical or mental condition at age 40 than others are at age 60. Hence, these commenters do not believe that age should be a means for determining capability. Many other commenters, however, state that older pilots are not in good physical shape and improvements in medical screening do not detect the subtle impairments with age that can undermine the margine of safety. As noted earlier, the incidence of cardiovascular disease rises with age, and it remains the most frequent cause of death in pilots and the general population. Though the FAA relies on sophisticated medical assessment and monitoring to permit the certification of carefully selected pilots with known heart disease, the need for the highest level of safety in air carrier operations has required that the this increasing, unpredictable danger associated with aging be limited. In addition, there has been an increasing awareness of the more subtle adverse conditions affecting performance, those related to cognitive functioning. Current medical certification procedures identify those individuals who are at most risk and are adequate for assessing many medical problems in pilots. The significance of the known as well as the potential unknown or unmeasurable adverse factors increases with aging, however, and reduces confidence in the sensitivity of the medical certification process. The Age 60 Rule recognizes this reduction of sensitivity in the context of the statuory recognition that the highest possible degree of safety is required in air carrier operations. As both the incidence of incapacitation risk factors and other adverse effects increase with age, the Age 60 Rule provides additional confidence in air transportation safety. Some commenters point out that operations under part 121 use 2-pilot crews, and some also have a flight engineer on board. They state that if one pilot becomes incapacitated, the other crew member(s) can take over. The FAA agrees that the multicrew concept provides an additional measure of safety. Indeed, redundancy in safety features is an important part of the overall safety benefits in part 121 operations, including not only pilots but also other personnel, aircraft structures, and procedures. The safety benefits of redundancy would be reduced, however, if the level of safety of any of the elements were to degrade. The sudden incapacitation of a pilot is not without risk even in a multiple-member crew and is to be avoided. Of equal concern is the prospect of subtle degradation in the judgment, cognitive function, and crew coordination that may accompany advancing age. Unlike the case of sudden incapacitation, such degradation may not be readily apparent to the other crew, and it may be difficult for the crew to deal with the results. The FAA does not consider the fact that part 121 operations have multiple pilots to be a basis for permitting one (or both) of those pilots to be at unacceptable risk for age-related problems. Some commenters suggested that the FAA can do performance checks for pilots past age 60 in simulators to ensure that they meet the performance standards. Periodic proficiency and competency checks are intended to detect a pilot's performance deficiency and to correct those deficiencies before the pilot is returned to flight operations. These checks only verify the state of a pilot's performance at the time of the checks. They are not useful for detection of early or subclinical cognitive defects that may subtly degrade performance or which, in time, may progress to risks for errors in judgment or other actions that may jeopardize safety. The checks do not predict whether an individual pilot's performance will degrade at any time in the future as a result of age. In addition, in its 1981 report, NIA noted that proficiency checks and simulator checks usually are designed to train pilots to meet standards of proficiency under optimal testing conditions using known routines and maneuvers. Although the proficiency checks suffice for pilot performance purposes, they are not suitable for testing complex cognitive functions under actual conditions, such as fatigue and stress; nor are they used to determine at what rate the skills learned in the training sessions decline between two consecutive checks. Standard maneuvers used in proficiency tests are inappropriate for measuring any but obvious decrements in pilot performance. Their inadequacy stems from the fact that the maneuvers are well-known in advance; they may be well-practiced and over-learned by experienced pilots; and they may give no indication of the pilot's ability to perform them under particular levels of stress, fatigue, or unexpected decision-making requirements. Furthermore, the pass/fail nature of the testing program; the probable wide variability among testers; and the train-to-proficiency nature of these tests make them inadequate as a screening mechanism. III(b). Class I medical certificates and special issuance certificates. Some commenters state that part 121 pilots are required to hold FAA medical certificates, and that the medical certification process tests their medical fitness. Commenters also point out that the FAA issues waivers to pilots and permits them to fly with various medical conditions, including cardiovascular problems. They state that if such pilots can be evaluated, older pilots can too. The question of operational privileges for aging pilots is not comparable to the question of assessment of younger airmen with specific medical conditions. Although individuals with known medical conditions have been returned to air carrier duties, their circumstances are not comparable with those of an individual who has reached an advanced age. For the person with known disease, the prognosis for the disease can normally be assessed and specific tests or evaluations identified to monitor the condition. Special issuance medical certificates are granted to airmen who have certain known medical conditions or static defects that are disqualifying under the established standards of the Federal Aviation Regulations. This practice does not compromise safety and does not demand similar consideration with respect to the Age 60 Rule. When a special issuance medical certificate is granted, the condition in question has been clearly identified, and the agency has been able to develop a means of assessment and surveillance specially designed to demonstrate the individual's capabilities and to identify any adverse changes. If that is not possible, certification is not granted. Such is not the case in aging, since there are no generally applicable medical tests that can, at this time, adequately determine which individual pilots are subject to incapacitation secondary to either acute cardiovascular or neurological events or to more subtle adverse conditions related to decline of cognitive functioning. One commenter states that data from actual part 121 pilots under 60 and over 60 are needed. The commenter suggests that a pilot group should be established that can fly over age 60. He believes that a cohort of over age 60 pilots can be identified with a quantifiable five year cardiovascular risk that is lower than the risk in the 50 to 59 year age group. Also this group can be tested by serial performance testing to ensure that there has not been subtle incapacitation. The kind of data that is needed to change the rule could then be collected and analyzed. The commenter recommends that a consensus working group of experts, appointed by the Federal Air Surgeon, deliver a document that describes a battery of state-of-the-art testing to identify a group of age 60 or older pilots who have the attributes for continued safe flying. A second group of non-flying crew age 60 or older would also be considered. The document would include all testing, follow up, methodology, etc. The Federal Air Surgeon would then review the protocol, obtain additional expert help as needed, and produce the final protocol. Finally, the FAA would choose the sites for participants in the long term surveillance program. FAA Response: While the FAA appreciates the proposed protocol that the commenter submitted, the FAA does not find it an acceptable basis for initiating a rule change at this time. The FAA's ANPRM in 1982 proposed identification of a select group of aged 60 and over pilots who would continue flying in part 121 operations to permit the FAA to collect data. The FAA withdrew the ANPRM in 1984 because valid selection tests for the group did not exist. The FAA was concerned that, without valid selection tests, these pilots would create an unacceptable safety risk in part 121 operations. The commenter does not suggest any data that indicates that a group described would be able to identify any such tests. The FAA has the same concerns today. Home commenters stated that raising the age limit will reduce costs, while other commenters stated that raising the age limit will increase costs. FAA Response: For the reasons discussed in this Disposition, the FAA has determined that an amendment to the Age 60 Rule should not be proposed at this time. Therefore, the FAA has not evaluated the economic impact of a proposed change. Some commenters state that increasing the age limit would result in the hiring of fewer new pilots, while others state that there would be no change in hiring and no increase in furloughs because economic success rather than retirements determines hiring and furloughs. Commenters estimate that between 10 and 50 percent of pilots would continue to fly if the age limit is extended. FAA Response: The FAA believes that the primary determinant of new pilot hiring and furlough is general economic conditions rather than retirements. The effects of increasing the age of mandatory retirement would depend on the number of pilots opting to delay their retirement, which may vary considerably among air carriers. Pilots with long tenures at a single carrier would be less inclined to delay their retirement than pilots who began their service at a relatively late age and may not have sufficient years of service at their present employer to qualify for full vesting in pension plans. In addition, the hiring and furlough plans of those air carriers that permit pilots over age 60 to serve as flight engineers would be less affected. Any effects on furlough and new hires would be temporary as retirements would not be delayed by more than the difference between the existing and the amended mandatory retirement age. Several commenters contend that the Age 60 rule was promulgated for economic reasons in response to an improper personal request from the chairman of American Airlines to the Administrator of the FAA and question the FAA's recent actions in reviewing the rule. FAA Response: When the Age 60 Rule was first promulgated in 1959, the FAA followed standard rulemaking procedures. Notices were published in the Federal Register (draft releases 59-4, 5, and 6, 24 FR 5249, 5248, and 5247, June 27, 1959), the public was given an opportunity to comment on the proposal, and then the final rule was issued. The rule was not issued to facilitate the operations of any air carrier. The rule was promulgated in order to maintain a high level of safety in part 121 operations, and that remains the FAA objective at the present time. Many commenters state that the current rule discriminates against pilots 60 years of age or older and that the Age 60 Rule is not in compliance with the Age Discrimination in Employment Act. In addition, many commenters state that the original establishment of the age 60 limit discriminated against people 60 years and older. However, many commenters who are opposed to changing the rule state that since pilots knew about the age 60 limit when they were hired, it is not discriminatory. FAA Response: The FAA agrees that limitations based on age are to be avoided if possible. However, safety in air transportation is paramount. As discussed above, the FAA has not found a way to acceptably evaluate the inevitable deterioration that occurs with age. Considering that the consequences of a pilot's subtle or sudden incapacitation potentially are so severe, the FAA has determined that at this time safety requires the Age 60 Rule to remain unchanged. The Equal Opportunity Employment Commission suggests that the FAA use special testing or screening to identify those pilots over age 60 who should be required to stop serving in part 121 operations. They note that some employers of pilots in non-part 121 operations have resolved age discrimination litigation by agreeing to use such additional testing to develop data about pilots' health. However, the FAA has not been apprised of the testing protocols or of the results of any such testing, has not seen them discussed in the medical literature, and has not been party to the agreements. Accordingly, these are not a basis to determine that such testing can be used instead of an age limitation. Many commenters reference ICAO standards, the JAA proposal, and the foreign countries that permit pilots to be over age 60, with varying restrictions. In addition, many commenters point out that the FAA allows foreign carriers to operate in U.S. airspace and airports with over age 60 pilots and questioned why U.S. pilots over 60 can't operate in U.S. airspace and airports. FAA Response: Following the FAA's promulgation of the Age 60 Rule, the International Civil Aviation Organization (ICAO) adopted changes to international safety standards that established an age limit of 60 for the pilot in command of large transport aircraft operating in international air transport service. Accordingly, not all countries have dealt with the issue of age limitations in the same manner, and for the reasons discussed elsewhere in this Disposition, the FAA has determined that the Age 60 Rule should be maintained in the United States. Many commenters point out that pilots who operate under other than part 121 can fly after reaching age 60. They believe, therefore, that there should not be an age limit in part 121 operations. FAA Response: The Age 60 Rule, like many other safety rules that apply to part 121 operations and not others, provides an increased level of safety appropriate to the operations conducted under part 121. The Commuter Rule proposal, as discussed above, looked at enhancing the level of safety for certain operations now under part 135. The FAA proposed one age limit on all pilots employed in part 121 operations, including those pilots currently employed in the part 135 operations covered by the proposal (60 FR 16230; March 29, 1995). The final Commuter Rule is being issued concurrently with this Disposition. The FAA's statute requires the Administrator to give consideration to the duty resting upon air carriers to perform their services with the highest possible degree of safety in the public interest and to make rules appropriate to the differences between air transportation and other air commerce. The Age 60 Rule is responsive to this mandate. Many commenters state that pilot unions and employers may favor retirement at age 60 and write this into their labor contracts, but pilots who do not belong to those unions should not be penalized by actions that benefit union members. In addition, commenters state that some union members disagree with their union's position and they question their union's motivation for changing their position on the question of raising the age limit. FAA Response: The Age 60 Rule is a safety rule that must apply to all pilots, regardless of union membership or labor contracts. The FAA cannot speculate as to the basis for union or management positions. Many commenters state that new pilots have a shorter time for gaining experience as second and first officer because of the rapid expansion of the major carriers and the increasing numbers of two-person cockpits. The commenters state that carriers that allow rapid promotion to Captain have poor safety records. Commenters also point out that industry forecasts project a shortage of pilots between 1995 and 2010 due to sharply reduced military pilot training, thus the airlines' most experienced pilots should be retained. FAA Response: The FAA has not been apprised of data that shows that the Age 60 Rule will create a shortage of experienced pilots and thereby compromise safety. While the FAA considered each comment in its evaluation of the Age 60 Rule, for the most part the comments made assertions and expressed opinions but did not provide the FAA with additional facts or analysis sufficient to support changing the rule. The FAA's overriding regulatory concern is safety. Before issuing a regulation, the FAA must be satisfied that it will maintain or raise the current level of safety. The Civil Aviation Medical Association's (CAMA) comments are particularly relevant. CAMA noted that medical conditions are degraded by age and that the aging process accelerates with time. It took a neutral position as to the Age 60 Rule, however, stating that the basic question is one of public policy and determining how much risk is acceptable. The only things that are clear from review of all of the comments and relevant literature is that there is no one obviously right answer discovered through scientific or medical studies, and, as CAMA states, the basic question is one of public policy and determining how much risk is acceptable. The FAA must evaluate all the varied evidence that indicates what those risks are, and determine where the public interest lies. At this time, the FAA cannot be assured that raising the age 60 limit will maintain or raise the level of safety that the Age 60 Rule offers. Although the Hilton Study provides useful information on accident rates for pilots as a function of their age, it does not provide a satisfactory basis for changing the Age 60 Rule. Therefore, after carefully considering the written comments submitted to the docket, the comments presented at the public meeting, and analysis of the Hilton Study, the FAA has determined for the reasons stated above that no change to the Age 60 Rule should be proposed at this time.